Moreland will retire this year from his position as the publicly-traded mutual fund firm's chief financial officer. 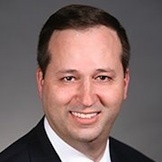 Prior to his role at T. Rowe, he was a client service partner at Coopers & Lybrand, which merged with Price Waterhouse to become PricewaterhouseCoopers. Gordon has been promoted to director, Eaton Vance Advisor Institute. Previously, he was a strategy specialist in EVD's wealth strategies group. Schwartz is stepping down as CEO of the broker-dealer, but he will become executive chairman of the board. Amy Webber succeeds Schwartz as CEO, and retains her title as president. Likewise, Ryan Reineke, former COO and senior vice president of technology, was promoted to chief operations and technology officer; Seth Miller will serve as general council and chief risk officer; and Kyle Selberg, former head of recruitment, is now chief business development officer. Rentfrow has joined the mutual fund firm as managing director and head of distribution. Previously, he served as managing director and divisional director at BlackRock, Inc.
As of January 1, Anderson and Billotti have been promoted to partner. Anderson is a member of the firm�s business transactions group, working with "public and private companies, private investment funds, investment management firms, financial institutions, business owners, and managers in connection with a variety of business transactions, financings, and general corporate matters." Johnson, Nam and Roberston have been promoted to counsel. Bush has been appointed to the Bloom Energy board of directors. She also serves on the board of the T. Rowe Price Group. Previously, she served as a board member of the Pioneer Family of Mutual Funds. Giacosa has joined the firm as managing director and trust counsel of Fiduciary Trust International of the South. Previously, he served as managing director and head of fiduciary and Hispanic wealth planning for Latin America clients at Ita� Private Bank. Thompson has been hired as an executive vice president and PM at the fixed income giant. Previously, he served as managing director and co-head of the commercial real estate group at Annaly Capital Management.